the police department’s beautiful hacker/secretary. 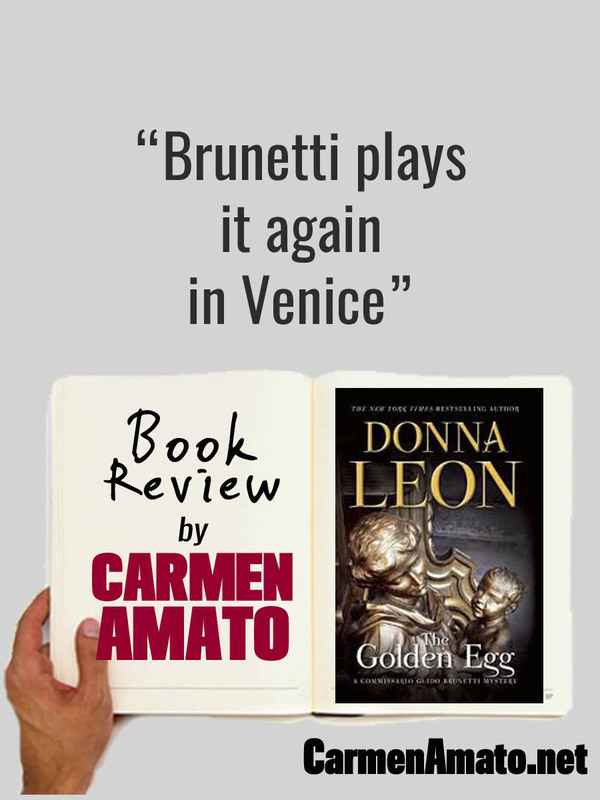 Add to this cast the food and wine of Italy, the sights and sounds of Venice, twisty plots, and you have an intellectual series rooted in Italian culture. Italy’s political mire and hopeless bureaucracy is on display in the book, mirroring the country’s real problems. It seems to be as much of the culture as the water lapping at the riva of the canal or the tramezzini that Brunetti has for lunch. 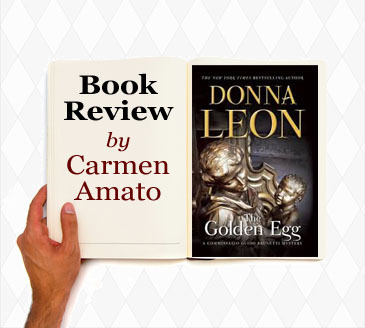 The ending, as in so many of Leon’s novels, is a satisfying twist you don’t see coming. The “egg” of the title means “nest egg” but other than that I won’t give it away. Anyone who likes the international mystery genre or Italy will love this book, as well as the others in the series.